JMF Disco provides a fantastic Mobile Disco in Canterbury for your party for all different types of events - a party in a pub, a wonderful wedding reception, a fabulous birthday party, a children's disco or a golden wedding anniversary - we can provide the right mobile dj and mobile disco to suit your particular requirements. 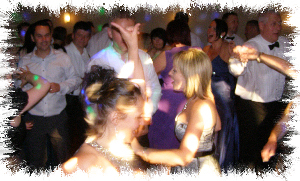 JMF Disco is owned and presented by DJ John Padmore, a reliable, experienced Mobile Disco in Canterbury. My aim is to provide you with all the help you need, from your initial phone call to seeing your happy guests leaving after a wonderful nights entertainment, at your perfect party provided by Mobile Disco Canterbury. JMF Disco's Mobile Discotheque Canterbury service will provide you with the entertainment you want for your dream party - why settle for anything less? Call or email JMF Disco for your Mobile Disco in Canterbury to find out how I can help you. Have a look at the Celebrations page for more details of the Mobile DJ in Canterbury service I offer and call me to discuss how I can help make your evening very special. I like to provide my clients with that little bit more - I provide them with what they want, need and deserve for their party - it is a special occasion and should be treated as such. Doing it right requires a DJ hire service with the right skills and resources that I will bring to your celebration. Contact John on Tel 01795 429777, Mobile 07895 546183 or by email to discuss your Mobile Disco Canterbury needs or questions. Find out how we can help you host a great kids party with music, lights and games, and take most of the stress away from you! Check out our childrens parties page here. The Spitfire Ground St Lawrence offers several rooms for weddings, parties and proms. A light and airy 1st floor room with its own well stocked bar - the mainly glazed walls do no have blinds or curtains so the room does not get dark until the sun goes down! JMF Disco provides impressive mobile discos throughout the City Of Canterbury area including Adisham, Barham, Bekesbourne, Beltinge, Bishopsbourne, Blean, Bossingham, Boyden Gate, Bramling, Bridge, Broad Oak, Broomfield, Chartham, Chestfield, Chislet, Eddington, Fordwich, Grays, Hackington, Harbledown, Hawthorn Corner, Herne, Herne Bay, Hersden, Hillborough, Hoath, Ickham, Kingston, Littlebourne, Lower Hardres, Marshside, Nackington, Patrixbourne, Petham, Pett Bottom, Reculver, Rough Common, Stuppington, Sturry, Swalecliffe, Tankerton, Thanington Without, Tyler Hill, Upper Harbledown, Upper Hardres, Upstreet, Waltham, Westbere, Whitstable, Wickhambreaux, Wincheap, Womenswold, Woolage Green, Woolage Village, Yorkletts and throughout the adjoining districts of Sittingbourne, Ashford, Folkestone, Dover and Thanet. - I'm sure I can provide you with the mobile disco in Canterbury you really want!